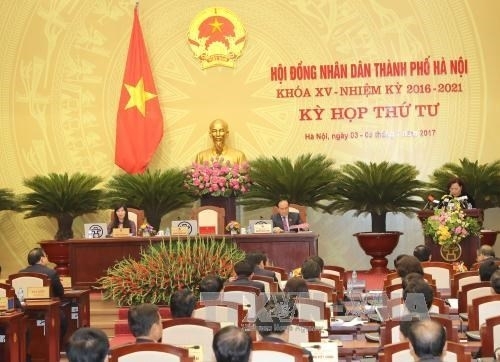 Authorities in Hanoi have approved a proposal by the Department of Planning and Investment to invest nearly 22 trillion VND (957 million USD) in 117 public investment projects, including 103 fundamental construction ones, in the city from 2017 – 2020. The proposal was accepted by deputies of the municipal People’s Council at their fourth meeting on July 3. They also adopted a resolution that puts forward amendments to the city’s portfolio of land reclamation and land conversion projects this year. Accordingly, some 573.7 hectares of lands will be reclaimed in 77 projects while about 116 hectares of lands for rice cultivation, and protection and special-use forests will be converted to another purpose.